Alingsås – data from the two DCIP continuous monitoring systems (2 boreholes and 4 lines) keep delivering data daily that seems to be consistent. The remediation work has been going on for a few weeks but the first effect on the DCIP data is expected first after 4-6 months. Exciting. 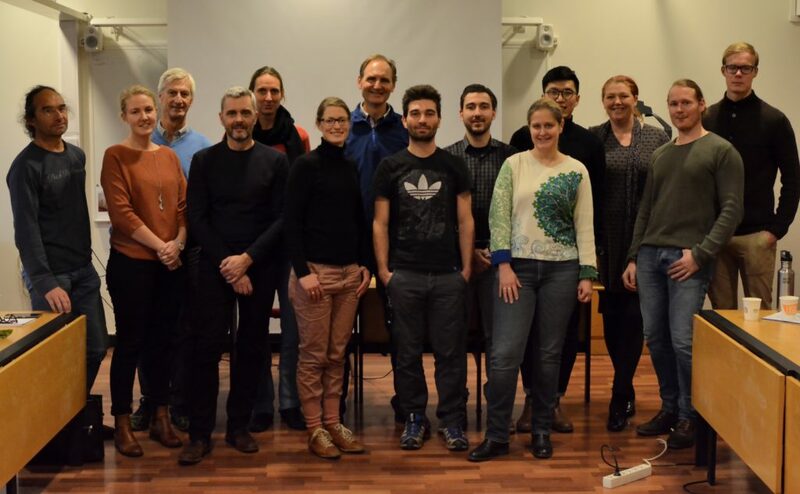 Hagfors – the baseline measurements has shown it is a geologically tricky site, and the discussion was on how to carry out the pilot remediation test, led by SGU. The focus area will most probably be in the southernmost part of the area, where also the future sampling will be carried out. Färgaren – the thermal treatment of the site is well on track and a lot of contaminants has been removed from the volume. Unfortunately, during the fall we were told that the client has decided to leave all the steel pipes in the ground after the treatment is finished, for economical reasons. This will rule out the possibility for using DCIP technique for monitoring the contamination situation. This was a very unforeseen decision and would spoil a lot of the effort the MIRACHL project has put in the preparations and the baseline measurements. Events like this is always the risk when doing this type of research in an ongoing production in the industry. However, we have decided to look for emergency funding to try to get the pipes out of the ground, and there are some good reasons we will succeed. Stamina is our middle name.